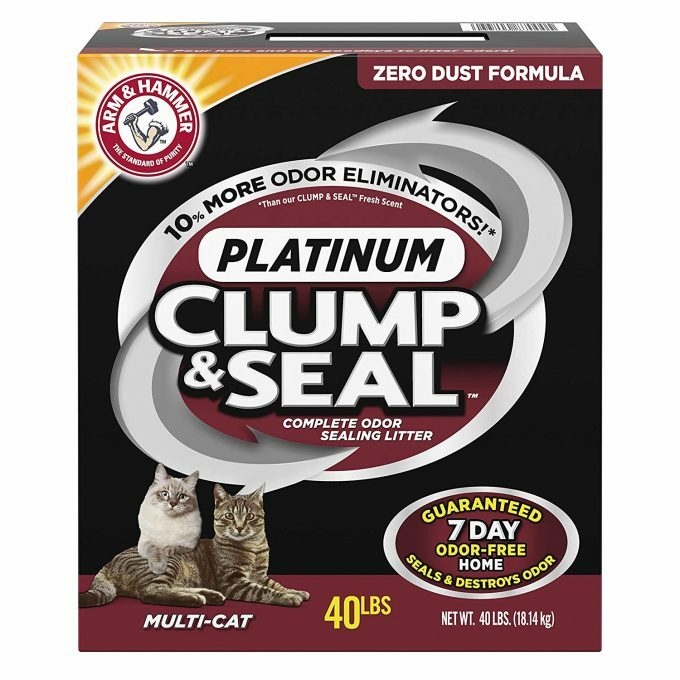 Purchase a 40-pound box of Arm & Hammer Platinum Clump and Seal Cat litter for $19.99. Normally priced at $24.99, but click the $5.00 coupon and get it for $19.99. Even better save another 5% by subscribing through Amazon.